Families for Orphans: This book is for your friends and loved ones who do not believe in Jesus Christ: free copies available now while quantities last! This book is for your friends and loved ones who do not believe in Jesus Christ: free copies available now while quantities last! Have a friend or loved one who has not accepted God's plan for salvation? Will you consider giving them or letting me send them a free copy of my recently published book, HOPSCOTCH? I'll provide the free paper cover book (retail $10) if you will pay the postage ($3). You can have the book sent to you... and hand or mail the book personally to your friend or loved one. Or, if you wish, I will send the book directly to your friend or loved one... just be sure to include their address when you donate $3 to pay for the postage. Get your free copy now while the quantities last (one free book per household please). When you click on the donate button, you can donate $3 to Big Family Mission to cover the cost of the postage, using your credit card. You may also, if you wish, send a check to Big Family Mission, 83 Boy Scout Rd., Kutztown, PA, to receive your free copy. 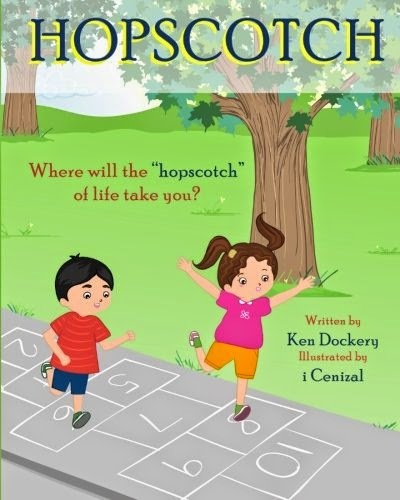 In HOPSCOTCH, little Myra lays out the good news of the gospel as a very logical and easy-to-understand hopscotch game. If you have interest in buying copies of the book, you can find more information on Amazon here: Hopscotch on Amazon . Please consider taking advantage of this opportunity to spread the good news of the gospel. I have a limited supply of the free copies of the book available.